LACROIX Electronics has been working for over 20 years alongside world leaders in the automotive industry in various fields such as sensors, pollution control, lighting and even audio systems. 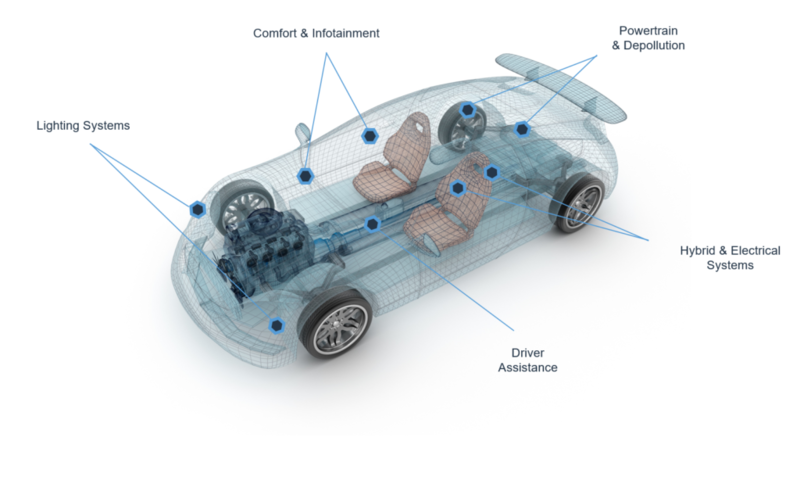 Our teams which are dedicated to the automotive industry provide comprehensive service from the design to the serial production of vehicle-embedded electronics. Working in collaboration with our customers, our technical experts develop reliable products that are on the cutting-edge of technology in the automotive industry. Our integrated engineering office meets the technical, economic, aesthetic and environmental requirements that our customers wish to include in their product design. We also lend our support to customers who prefer to remain in control of their design thanks to our bespoke offer of advanced industrialisation of electronic features. We optimise their development (PCB routing & DfX) to meet quality and cost objectives as well as time-to-market periods. Our prototyping service also allows you to quickly validate your chosen technical options. As we are experts in the production of connected circuit boards that are embedded in vehicles, we also have highly-automatized production processes. We are on the cutting-edge of technology thanks to our Smart Industry plan and guarantee complete traceability of your products. Finally, our test strategy engineers are developing bespoke solutions to achieve a level of “zero defects” in order to meet specific standards established by the automotive industry. We can offer support for smaller to very large series thanks to our complementary factories in Poland, Tunisia and also in Mexico and the United States, with our partner Firstronic. As reliability is one of our priorities, all our sites have a demanding and powerful end-to-end project management process at their disposal. The strength of our purchasing service allows us to propose solutions adapted to the fluctuating availability of the component market. Because of our control over our Supply-Chain (MRP2 and EDI flow management) we are also able to optimise your total cost of acquisition. Our support services offer tailored solutions throughout your product’s life cycle, for improved flexibility and responsiveness while ensuring our services remain reliable and competitive.